It looked like New Edition was through after Bobby Brown left in 1985. But the group was able to overcome that by adding Johnny Gill and recording in a more mature style with the 1988 album Heart Beat. If It Isn't Love was a top ten hit. After the 1985 album All For Love, New Edition voted Brown out of the group for behavioral problems. Mainly, Brown wasn't getting along with Ralph Tresvant. They also had a poor contract with MCA Records. None of them were making as much money as they should but Brown was more vocal about it. So MCA wanted him out too. New Edition continued as a four piece and released the 1986 album Under The Blue Moon, an album of doo wop covers produced by Freddie Perren who was very successful in the 70s but the death of disco killed his career. The album did not sell as well as previous albums. The only hit single was New Edition's cover of Earth Angel from The Karate Kid Part II. It wasn't supposed to be on Under The Blue Moon and was tacked on afterwards. Tresvant was thinking of going solo. But the other members voted to bring in Johnny Gill who had success recording with his childhood friend Stacy Lattisaw. At first Tresvant was uneasy about Gill. But they became friends and Tresvant stayed in the group. For the 1988 album Heart Break, New Edition went to Minneapolis to record with Jimmy Jam and Terry Lewis who were becoming the hottest producers in the record business. They gave New Edition a more mature sound. If It Isn't Love was the first single. It reached #7 on the Billboard Hot 100. Tresvant sang lead. Heart Break was certified 4XPlatinum. So New Edition was back. But they split up after a successful tour. Gill and Tresvant both went solo. and the other three guys became Bell Biv Devoe. 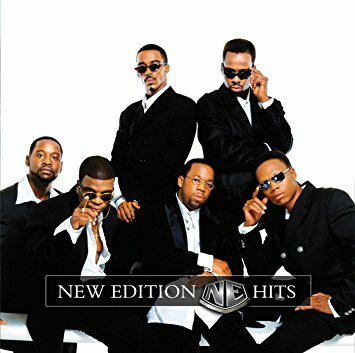 New Edition returned in 1996 mostly because they owed an album to MCA. But that album was successful and it solidified New Edition's durability. You can get all their hits on this budget comp. Here's the video for If It Isn't Love by New Edition.